Northern advisors offer their local and cultural knowledge to provide critical insight about how best to partner with and develop relationships with northern communities in the movement towards food sovereignty. They also participate in crafting the strategic direction of the Collaborative. We offer our gratitude for the continued guidance of the northern advisors. ​We thank you - Kinanaskomitinan. I am focused on maintaining a vision of reconciliation, along with regaining our heritage of food security for all. I believe that getting back to the land is a way of following the Truth and Reconciliation Recommendations. I taught high school for 25 years and loved coaching hockey, cross country running and baseball. I write human interest stories for the local paper, and besides growing my own garden I dig Seneca Roots in summer, and cut wood in winter for the fireplace. I have five children who are all grown up, and six grandchildren. My family roots are in Old St. Peter’s Reserve (Selkirk) where people moved from in 1907, to Peguis First Nation. We are agricultural people who love the land and are striving to regain our culture and heritage. 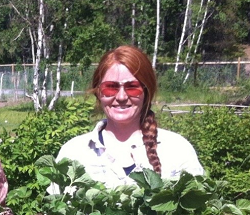 I am an adviser with the NMFCCC and Northern Healthy Foods Initiative. In Peguis, we continue to bring more people on board in our community to grow their own gardens, and promote community building and sharing. I am a continuous learner of the importance of growing and maintaining healthy fresh food. I have worked in a garden for 8 years, my duties consisted of maintaining the ground and clearing more area for garden beds. I worked with Chuck Stensgard, my mentor and friend, and alongside Christopher Brayley my closest friend, both of these guys have taught me and have molded the person that I am today. They helped me learn and understand the importance of teamwork, work ethic, and the power of gardening. I have been recruited by Julie Price to join the NMFCCC to provide input and strive for a better tomorrow for everyone in Manitoba and possibly for the world. I am the filler of the gap that splits the north from the south and helper of delivering the knowledge of gardening and cultural differences. I continue to help with the project because I know that we can make a difference for everyone. If we continue what we are doing, we may very well make a tomorrow that is brighter for the current and future generations that are to come. The project has a lot of potential to make all of Manitoba closer and help remove the sicknesses like diabetes, obesity, etc. that are ever so present in Northern communities. I know that we can help change the current lifestyles of many that live in the North, because healthy food isn’t affordable or unavailable. I know we will help everyone learn how to make a garden, better their health, and become a sustainable community. ​I am from South Indian Lake and have lived here all of my life. I have been involved with many community committees and am involved in all aspects of our community life. I have always lived off the land and for as long as I can remember my family has had gardens. I am one of the founding steering committee members of Ithinto Mechisowin Program, a food sovereignty program in our community. I enjoy working with youth and have worked at the school for 32 years as the school counselor. I help out with the Northern Manitoba Food, Culture & Community Collaborative because I am really interested in having the traditional foods coming back to the community and finding ways to help them come back. I am grateful for all of the different organizations that have decided to work together to help out in my community and so many others in northern Manitoba. It’s better to work together. ​​​I’ve been with Keewatin Tribal Council for close to 24 years. That’s where my heart lies, with the Cree and Dene communities that we serve. I’m Cree myself from the York Factory First Nation. I help out with the Northern Manitoba Food, Culture & Community Fund because it’s an opportunity to provide input, share knowledge and to learn from others that have similar interests. I know the work they are doing is important and will benefit the small, northern, and Aboriginal communities they target. 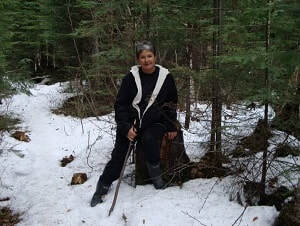 Dr. Marlyn Cook is a proud member of the Misipawistik Cree Nation. The daughter of Dan and Angelique Cook, she is number thirteen of their fourteen children. Dr. Cook is also the mother of two beautiful children, James and Ashley. Marlyn first graduated as a nurse in 1975. After working within the health care system as a nurse, Marlyn decided she wanted to become a stronger advocate for health care for First Nations people. Dr. Cook returned to school and in 1987, Dr. Cook graduated from the Faculty of Medicine at the University of Manitoba and completed her Family Practice Residency Program at the St. Boniface Hospital in 1989 becoming the first First Nation woman to graduate from Medicine in Manitoba. Dr. Cook has practiced medicine in Cross Lake, Manitoba; Sioux Lookout, Ontario; Pikangikum, Ontario; Akwesasne, Ontario; Moose Factory, Ontario; her home community, Misipawistik Cree Nation; and other First Nations communities. Dr. Cook believes in Traditional Indian Medicine and incorporates this with Western practice. Her belief is that healing needs to be focused on all aspects of the person – spiritual, mental, physical and emotional. Marlyn is a sun dancer, a pipe carrier and a sweat lodge keeper. She also acts as a role model for young people and in this capacity she has traveled extensively throughout Manitoba and Canada encouraging young people to continue to pursue their dreams regardless of obstacles they face and promoting the importance of education. Dr. Cook is very active in her community both in her capacity as a physician and as a member of the community. 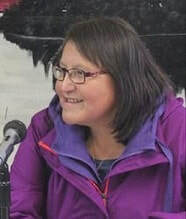 She has sat on many boards and committees including: the Advisory Board for the Faculty of Medicine, University of Manitoba, the Advisory Committee of the Mino’ Ayoawin, Health and Well Being Project at the Native Women’s Transition Centre, the Manitoba First Nations Child and Family Services Task Force, and the Aboriginal Healing Foundation. ​I was born and raised in Poplar River, Manitoba. I grew up with the teachings from my parents and grandfather, they taught me the importance of the land and life on that land that the creator has given to us. They taught me the importance of living off the land, from the animals, birds, plants and water, that sustain our health, and the importance of always showing respect for that life. This has led me to continue to work on the protection of the land and to pass on this knowledge to our future generations. Currently I work for Pimachiowin Aki World Heritage Project, which includes our traditional territory, that will provide, when approved, a strong protection for our land and our way of life. ​Becky Cook is from Misipawistik Cree Nation. Her parents are Shelley (Parsons) and Ron Cook, her Grandparents are Nora (McKay) and Walter Cook of Grand Rapids and Betty (Torrens) and Syd Parsons of Winnipeg. She was raised on the lands and waters surrounding Misipawistik and Lake Winnipeg. Her family camped out every summer at their family camp at saskasceweyak and spent the fall at the fishing camp at MacBeth Point. A love for the land developed at a young age and eventually led to her receiving her B.Sc. in Geology and Geophysics from the University of Manitoba in 2006. She also learned the importance of balance and respect for the all of creation through participation in ceremonies, fast camps and culture camps. These teachings were the main reason she left her job with the Oil and Gas sector in Calgary to begin work on her Ph. D. She completed her Ph. D. in Marine Geophysics in 2015 and is now committed to her traditional education. 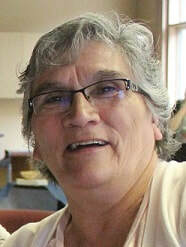 Becky was a coordinator with the Northern Manitoba Food Culture and Community Collaborative for 2 years. She has worked with Elders and knowledge holders in her home community of Misipawistik to develop a land-based education program for youth, Misipawistik Pimatisimēskanaw, which offers teachings throughout the year.